Home/Brass Instruments / Tubas / Specialty Tubas/C Tubas/John Packer Professional CC Tuba - Multiple Finishes! John Packer Professional CC Tuba - Multiple Finishes! 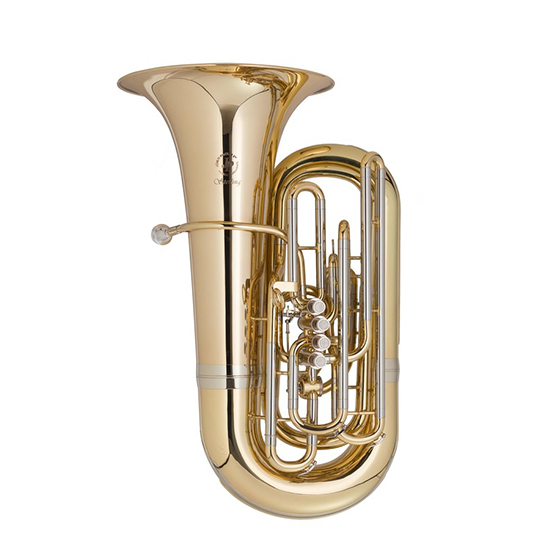 The JP379CC builds on the already popular JP Sterling range of tubas by offering a large bore, C model with unparalleled performance and affordability. Designed and constructed in collaboration with Sterling Musical Instruments, the JP379CC features an exclusive Sterling leadpipe and benefits from Sterling's manufacturing expertise. Paul Riggett of Sterling Musical Instruments is widely respected as one of the leading designers and manufacturers of brass instruments in the UK. He previously worked as a production manager at Boosey & Hawkes before creating Sterling Musical Instruments in 1987.